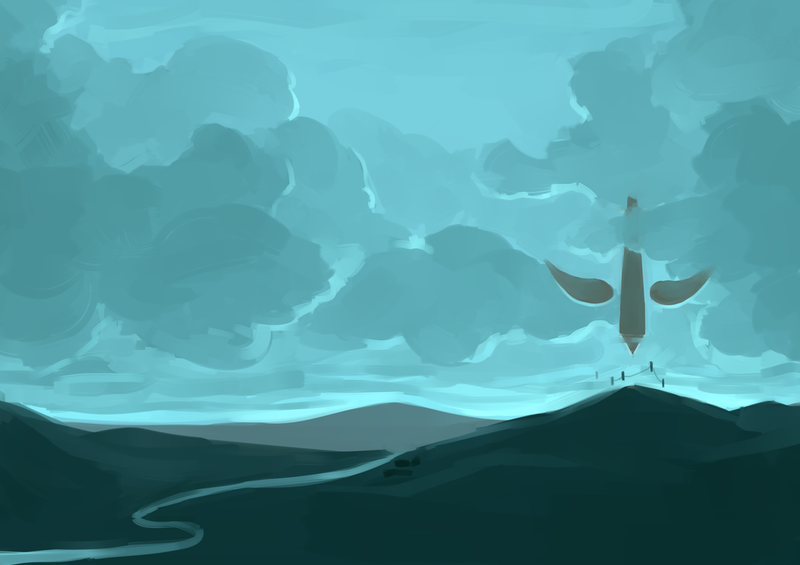 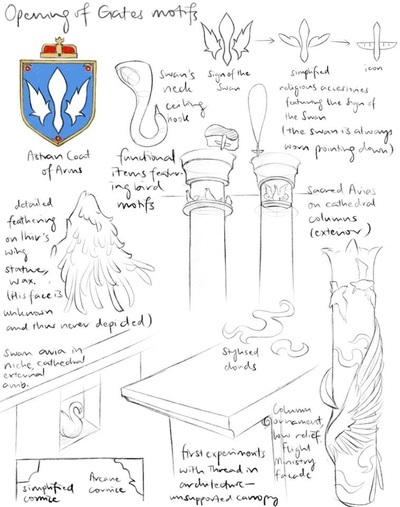 Eagles and Swans is a personal worldbuilding and narrative project. 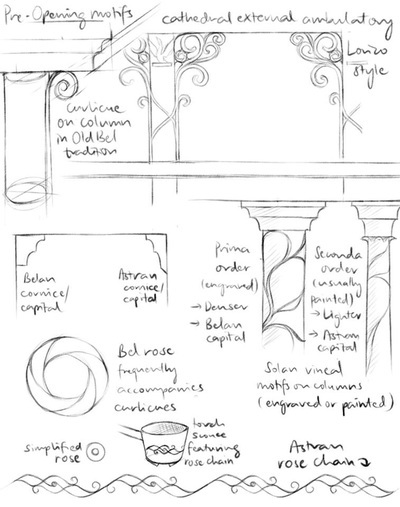 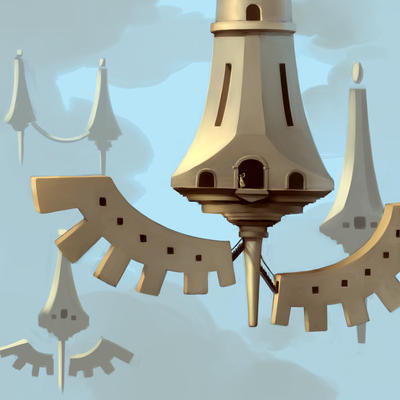 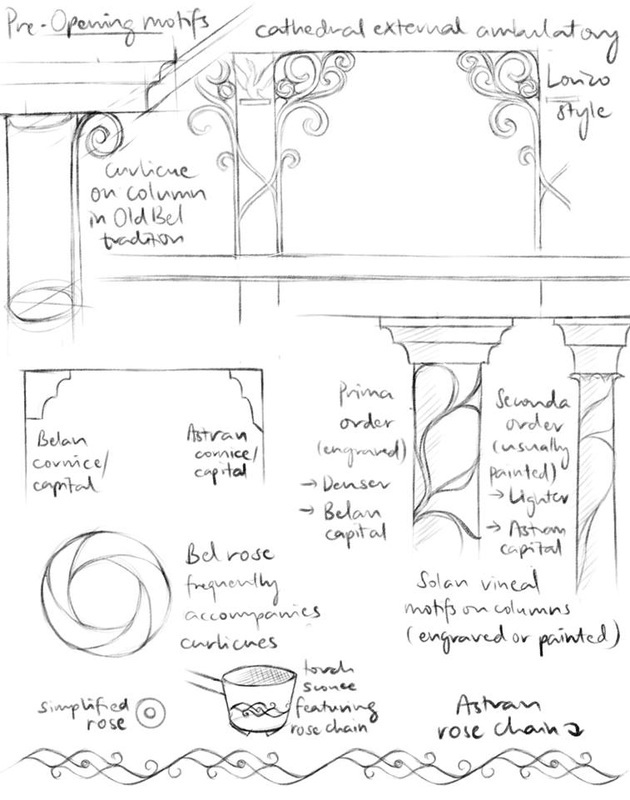 Aesthetic consistency was a major concern when it came to designing for this world: the architecture and aesthetics are layered, and characterised by eras and trends, and I wanted everything to feel like it came from the same world, with familiar repeating motifs underpinned by a consistent philosophy. 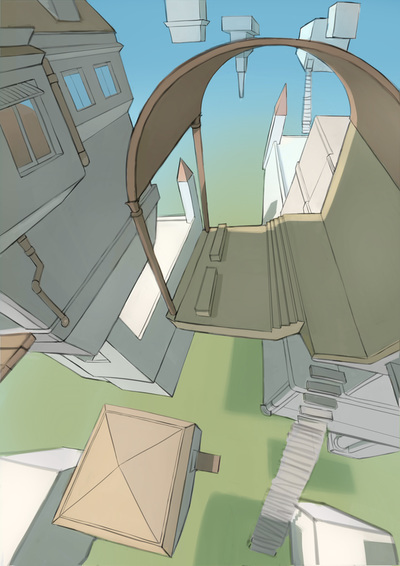 The residential section of Helika City, with public buildings below. 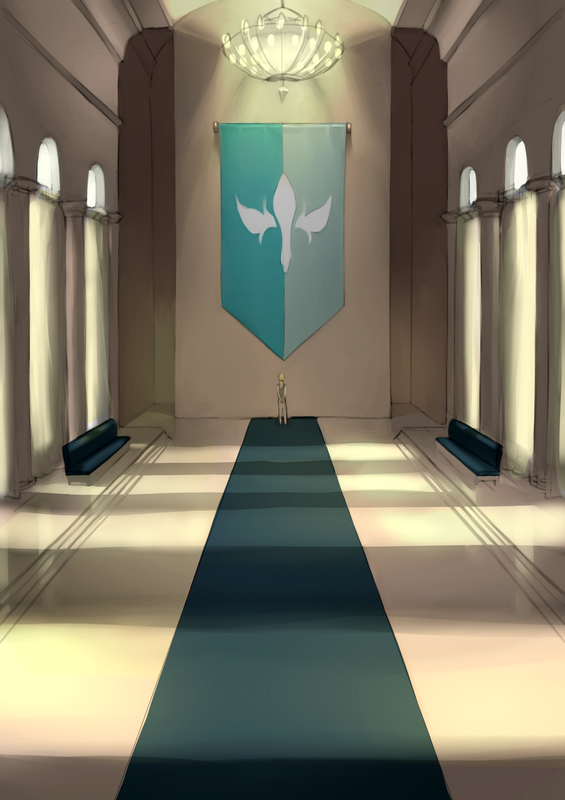 Entrance hall to the royal tower, the living quarters of the diarchs and their families.